This product is a daily supplement that has been designed to provide symptomatic relief from pain, constipation, nausea, gas, bloating and diarrhea, all common to digestive disorders such as IBS. the manufacturer claims that it’s unique blend of digestive enzymes and probiotics has been proven to successfully treat gastrointestinal disorders. 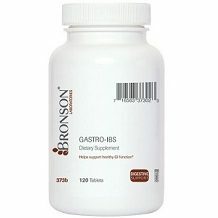 In this review of Bronson Gastro IBS, we will be taking a closer look at the facts to see if this product lives up to its claims. The digestive enzymes in this formula help to break down foods while the Lactospore, a natural probiotic helps to replenish the guts natural flora. Peppermint is known to soothe pain and helps to reduce nausea. We are concerned to see that this product contains additional fillers and binders such as rice bran which may affect the potency and purity of the natural ingredients. Bronson recommends taking one tablet a day. The manufacturer does not mention if this product should be taken before or after meals. Based on the additional fillers and binders, we cannot confirm if this dosage is potent enough to deliver the desired results. The manufacturer has failed to mention any warnings about this product on the website and other retailing sites. It is advisable that you consult your doctor first if you have allergies, medical conditions or you are pregnant. 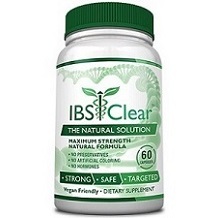 Gastro IBS is available in both 120 and 60 count bottles. The 60 count retails for $3.60 and the 120 count bottle retails for $16.79. This product can be purchased directly from the manufacturer or via third-party distributors. Bronson offers a 1-year satisfaction guarantee on all of its products. While this guarantee may seem strong, we are unable to find any information on what condition the product should be returned in and if it applies to products that have already been opened. This product has stayed true to its word when it comes down to offering natural ingredients and the price is very competitive, however, a cheaper product does not necessarily mean that you are getting quality ingredients. We were disappointed to find that this product has a variety of additional fillers and binders which could potentially affect the effectiveness of the product. We tried to give this product the benefit of the doubt by turning to customer reviews however, we were unable to find any reliable comments from viable sources which leads us to believe that the product is not very popular. Based on our findings, it may be in your best interest to look for products that have enough social proof and evidence to back up the claims as wells as ingredients that are not compromised by additional fillers and binders which don’t add any nutritional value.